Taste the cream-of-the-crop of Hungarian wines at CultiVini Wine Gallery, a unique place dedicated to wines and viniculture. The place is centrally located, in a small side street of Váci utca, the famous pedestrian shopping street of Budapest. You can drop by to sample exquisite wines during exploring the sights of the city centre or before going out enjoying the vivid nightlife. You can choose how much to taste: only a few sips, 0,5 dl or 1 dl. No set menu, you choose which wines to try. 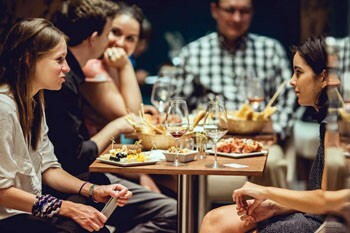 Expert, English-speaking sommeliers will introduce you to the world of Hungarian wines and give advice on tasting/buying. 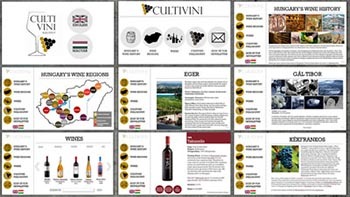 In addition, there is custom tablet application with comprehensive information about Hungarian winemaking. You can choose from 3 Tasting Packages and Book Online. Kind, professional service, state-of-the-art wine dispensing technology, an exceptional selection of premium quality wines – some of them can only be tasted here – a refined, contemporary setting make wine tasting at CultiVini a unique experience. Opening hours: Tuesday – Sunday: 11.00 – 21.00, Closed on Mondays and Public Holidays. Christmas & New Year Opening Hours: December: 24: 11.00 – 14.00, December 25 – 26: CLOSED, December 27-28-29-30: 11.00 – 21.00, December 31: 11.00 – 16.00, January 01.: CLOSED. If you want to taste from the 50 + various wines available on tap (the offer is changing when new, special wines, aged bottles are discovered or become available) you can do so by buying a card for a minimum rate of 6 000 HUF (you can pay in cash or with bank card). expert guiding and custom mobile/tablet application to help you get acquainted with local wines, wine regions and wine makers. 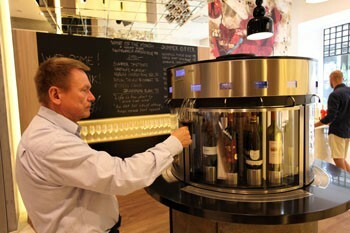 You receive a glass in which you dispense wine from the wine preserving machines. The name of the wines, the tasting amounts, and the price are displayed on a small digital screen. 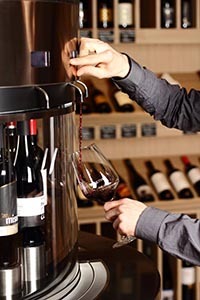 The modern preservation and dispensing machines keep wine fresh in opened bottles for weeks. You can drink as little or as much as you want. Just a sip from a rare dessert wine, a half glass from a lively white or a rare vintage. If you used up the 6 000 HUF you can load more money to continue tasting. At the end of tasting you get back the remaining credits (above the 6 000 entry fee). 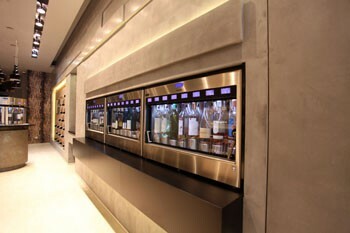 This way you have the flexibility to sample a wide variety of wines without getting drunk (snacks are available). If you want to buy a particular bottle from the selection of 150 different bottles available for instant purchase, you can taste just that one. Worldwide delivery is available. No need to carry the bottles! You can choose from the following wine tasting packages (for up to 10 persons) and book online. You will pay a 10% deposit to book the program and the 90% remaining balance on the premises in EUR or in HUF on the current daily exchange rate. Please contact us if you would like to arrange a tasting for more than 10 persons. Professional sommelier guiding and/or custom mobile application about the wines, winemakers, wine regions, with tasting notes. Price: 25 EUR / 7 500 HUF / person (you can reload the card for additional tasting). Tasting card for 7 000 HUF per person, incl. 8-10 wine samples, each 0,25 dl. Price: 30 EUR / 9 000 HUF / person. Opportunity to load card individually for additional tasting. Price: 40 EUR / 12 000 HUF / person. If something comes up and you decide not to do the wine tasting please to cancel it at least 2 business days prior to the date of the tasting to get a full refund on the 10 % you paid. Note: transaction fee ( 4%) is deducted from the refund. Please note that if you cancel the tasting within less than 2 business days you are not entitled to the refund. 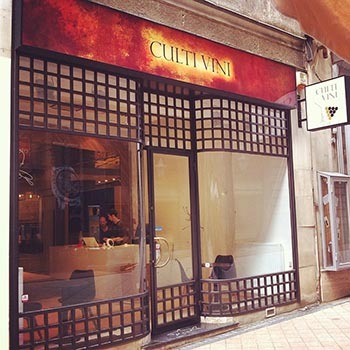 Visit CultiVini on the Budapest Wine Bar Tour, on 05. July when you can taste wines and meet wine makers from the Bükk region of Hungary.